Rose blooms turning brown before they have a chance to open is a common garden problem, and one that can frustrate gardeners to no end. There are several reasons for your roses turning brown, and several steps your can take to try to prevent it. If a rose bush already has some brown blooms, minimize the chances of other blooms getting infected too. Keep the soil around your roses moist but not saturated at all times. If the soil is too dry, your rose could develop drought stress, resulting in brown rose blooms. Spread a layer of compost around each rose bush regularly, two or three times a year. Fertilize your roses bushes with a rose fertilizer, carefully following the directions on the package on how much to apply and how often. 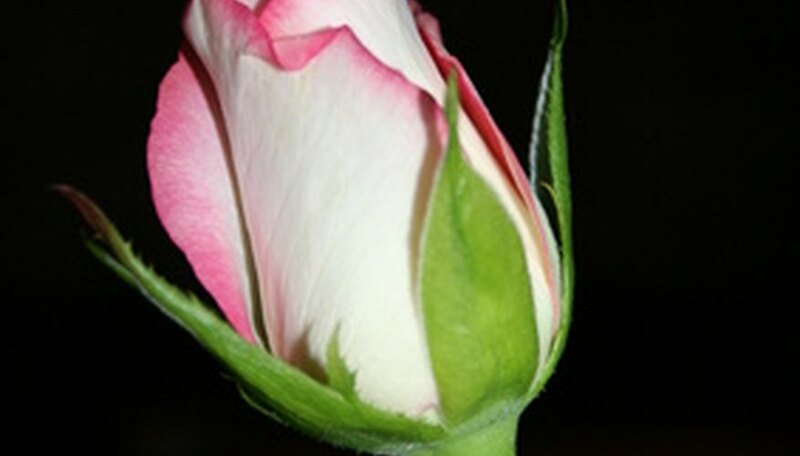 Check your rose buds once a week for signs of aphids or thrips, minuscule creatures that wreak havoc on rose blooms. Spray your rose bushes with a water hose at the first sign of insect infestation. A sharp spray of water will knock the insects away, according to AllAmericaRoseSelections.org. Apply insecticidal soap to your roses after watering, following the directions on the bottle. Immediately remove rose blooms that have brown tips or brown spotting. These symptoms are often a sign of Botrytis blight, a fungal disease that is very easily spread. Spray remaining buds and canes with a fungicide, available at garden centers and home improvement stores. Follow the directions on the bottle. Beetles are harder to control than smaller pests, and you won't realize they are there until after the rose bloom turns brown and assumes a deformed shape. In those instances, clip off the blooms and dispose of them.